The Bag Lady From The Bay: Bags, Bags, Bags! My oh my, but it is still very chilly in my neck of the woods today! Only 3 degrees Fahrenheit....hopefully it will warm up as the day progresses because I just turned up the heat and would dearly love not to hear my furnace for a long time. I have a wonderful covered deck and cannot wait to get my sewing machine out there so I can soak up warmth and sunshine while I am busy making inventory for my online Etsy Shop. Last Thanksgiving a fundraiser was held to assist a young man in our town who'd been involved in a nasty automobile accident wherein his sustained injuries left him as a paraplegic. 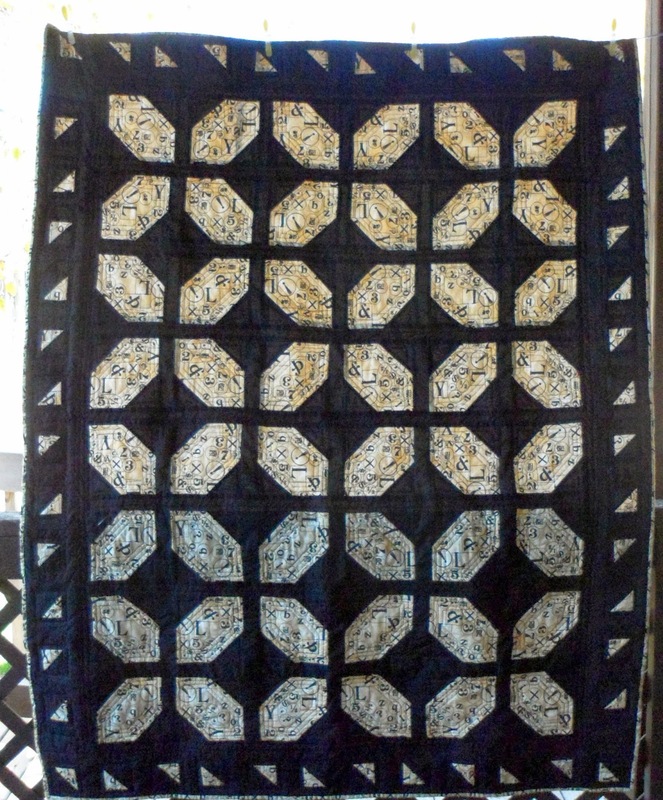 This is the quilt I made and donated for that fundraiser. As I now live alone, I have more time to devote to my online shop at Etsy! 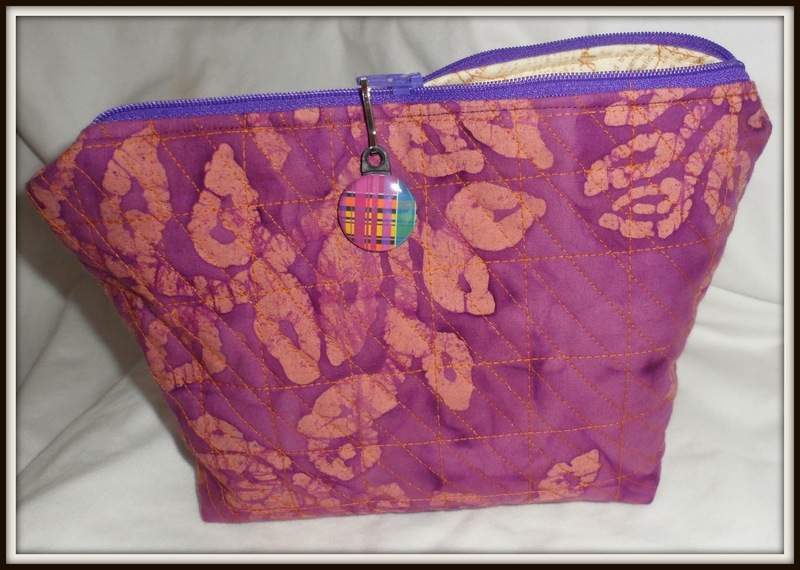 For this purpose I have made lots and lots of quilted bags all types and colors. This pastime was so very therapeutic for me and I am thankful for the increasing skills the making of these bags have helped me to acquire. Sometimes I have done the dumbest things and have become quite proficient at "frog-stitching"! I think this Cosmetic Bag turned out well. 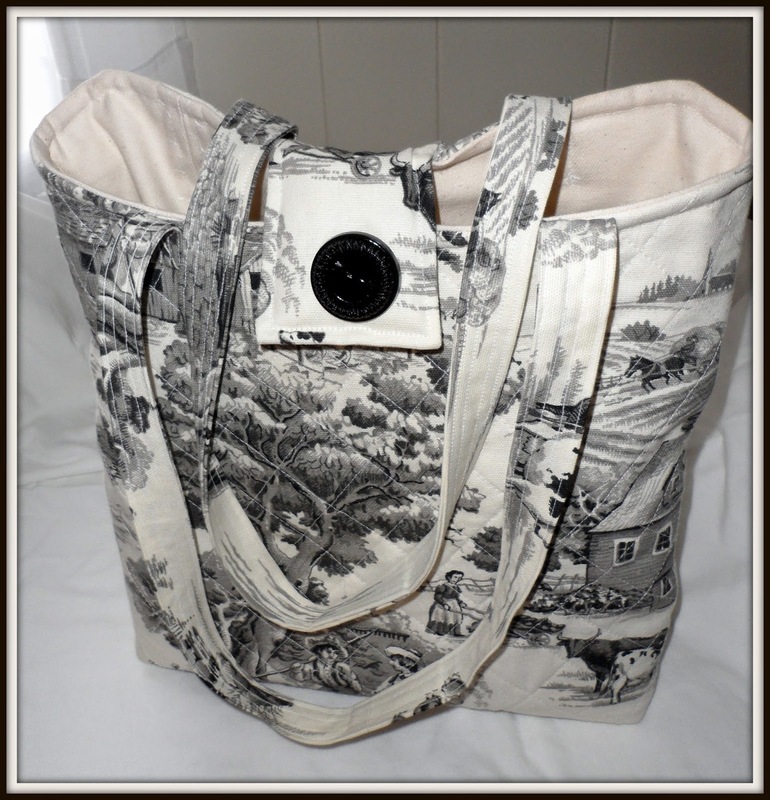 Or, how do you think this tote-purse turned out? Armed with a new order from Zipit@Etsy.com (zippers) I have been going non-stop making inventory for my online shop also at Etsy.com and for a shop in nearby resort Town of Gananoque! Come the Victoria Day long weekend it will experience an influx of returning visitors as well as many new tourists. If your planning a trip up our way you'll see some of these bags in Donevan's, a long renowned business in Downtown Gananoque. Over the past months the proprietor and his daughter have been remodeling the old store to make Booths available to local Artisans to display and sell their handmade articles to the public on a full time basis! Mary Donevan of Heirloom Creations sells her therapeutic magnetic jewelry there and people flock to buy her one of a kind pieces, all made from beautiful porcelain china tea and dinnerware no longer coveted by people anymore. It's time I say cheerio for today and get back behind the sewing machine. Remember if your up around the 1000 Islands area, Gananoque is a town to visit and discover and the St. Lawrence is right on our doorstep.